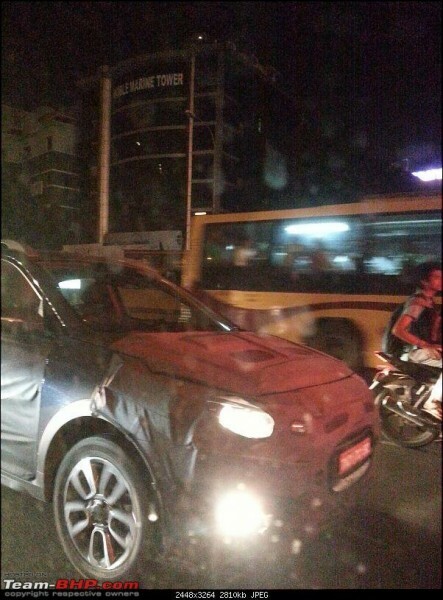 As we reported earlier, the Hyundai Elite i20 Cross India launch is going to take place in Match next year. 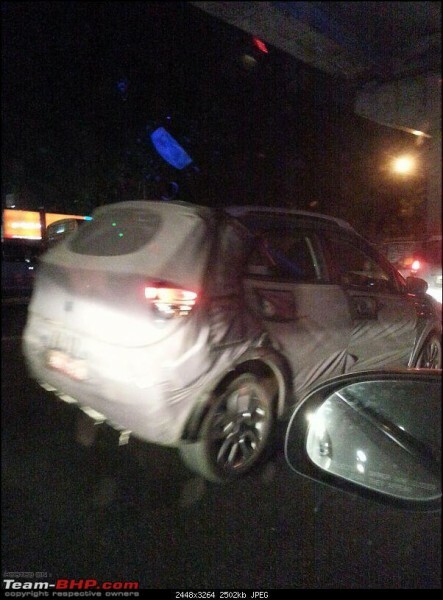 Now, a Team-BHP member has come up with spy images of the soon to be launched pseudo crossover from the Korean carmaker. As is revealed by the spy images, the upcoming Elite i20 Cross will have a higher ground clearance than the Elite i20 hatchback and this will lead to a more aggressive stance. While the Elite i20 Cross will share most of its body panels with the hatchback version, it will also get roof rails, body cladding, and new projector headlamps with Daytime Running Lights (DRLs). On the inside too the upcoming car would look a bit different to the i20 hatchback and could come with a different upholstery, faux carbon-fibre inserts and more features. Under the hood, the Elite i20 Cross will have same engines that perform duty on the hatchback version. So, in all likelihood, the i20 Cross will get a 1.2 liter petrol engine that pushes out 82 horsepower and 114.7 Nm of torque. The car will also get a 1.4 liter diesel motor that produces a maximum power of 89 hp and peak torque of 220 Nm. While the petrol motor will come paired to a five speed manual transmission, the diesel engine will get a six speed unit. It isn’t for sure but the car could also get an automatic transmission option. Prices of the upcoming car could be approximately INR 50-60k more than the hatchback variant. The Hyundai Elite i20 Cross will be pitted against the Fiat Avventura, Toyota Etios Cross and the Volkswagen Polo Cross.